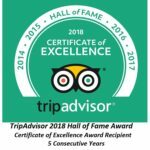 As members of the Greater Madison Convention & Visitor’s Bureau, The Speckled Hen Inn Bed and Breakfast wants to make Madison a destination in all seasons! We’re offering WINTER SEASON rates from November 1 – April 30 (excluding holidays) and a choice of even lower rates from Sunday-Wednesday nights! Because we need a break too, we won’t be providing breakfast on Monday-Thursday during winter season except when holiday rates are shown. But you’ll still get your favorite suite with a fireplace and jetted tub, the cozy Inn and we’re only minutes to downtown. PLUS, we’re partnering with a local favorite so you can experience a fabulous breakfast just a stone’s throw away from us that is not only unique, but fun! We love it when our guests experience Madison like the locals do and The Jet Room is a hot spot breakfast and lunch. 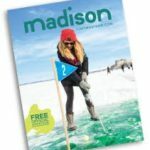 If you’re adventurous they also offer The $100 Burger – an incredible scenic 30 minute flight for 2 over Madison and it even includes a burger when you land – all for only $100! 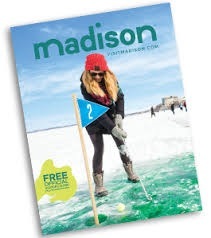 So come on – experience Madison like the locals! BOOK A STAY, save money & do something that you’ll talk about for years!